Are creative awards a waste of money, after all? Here's what some creative minds said in response. Creative awards. We love them and love bashing them even more. This time, it's not about scam; it's about money. The dust was just about settling on the recently concluded International Festival of Creativity, when a few news reports ruffled things up again. 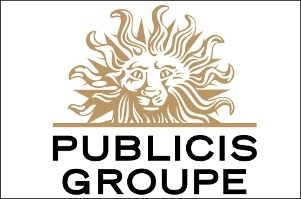 For one, Publicis Groupe announced its decision to abstain from creative awards till next August, citing budget related reasons for it. Wieden + Kennedy considered, and came pretty close to doing the same. 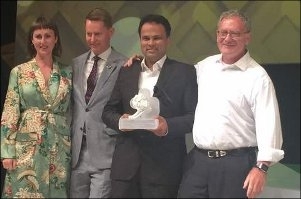 Then, WPP boss man (reportedly) dubbed the whole Cannes affair a "rip off", and, just like that, a question was born - Are creative awards a waste of money? A look at what some influencers in the Indian ad industry had to say about the matter. Award shows are certainly on the decline and there is nobody else to blame apart from the award shows themselves. Award shows serve the purpose of providing a benchmark where people can see what is good in advertising and what is it that is creating a newer paradigm in the way communication can be done. However, these days commerce has taken precedence and award shows are no longer about showcasing creativity which is why there exist categories that are hardly relevant today, like the print ads. There should be a place for print but it can't have the same weightage as television or most definitely digital where most of the cutting edge work is happening. In print, the same things which were done in the nineties, like the visual origami, are still winning; which is silly. Clients don't see any value in a stammering little print ad. It's just there due to the commerce behind these awards. Similarly, there is no reason for radio to be such a huge category. The award shows are massively skewed towards mediums which are becoming irrelevant today. I have now stopped judging award shows as the amount of stuff masquerading as real work is too much. Clients still love the Effies across the globe. Many creative people prefer the Effies to some of the other creative awards since the Effies are creating a real difference in the real world. We don't want to do this (award shows) only to appeal to seventeen art directors based in South Mumbai. I do not think the importance of creative awards will decline. The basic purpose they serve - of being a bellwether of creative excellence, remains as relevant today as it ever was. They celebrate innovation and excellence and there is nothing wrong in that. However, we are witnessing a course correction of sorts. The industry has woken up to scams and ads created purely for the agency's benefit as opposed to the client's. That of course is not acceptable. Therefore, I do not think that creative awards will become less important in the future. However, there is no doubt that these award shows are becoming expensive. Unless they (award shows) rationalise their charges, it might soon get to the point where it becomes difficult for agencies to participate, enter and travel. While for people would want to participate, there is only so much that one can invest in it, the agencies have been investing heavily anyway. I am not a finance man, but if agency leadership feels that this kind of expense does not justify the kind of benefit that accrues then somewhere or the other there will be a slowdown. On the other hand, I believe that if Publicis Groupe has decided to cut back on expenses and put that money somewhere else for one year, it's not that grave a situation. Any creative person should feel that they are sacrifising a year of their entry for something that's going to benefit their organisation. If it is was a boycott against awards, then it would have been unfair to the creative people. If I were a part of the Publicis Groupe, I would respect this decision. I feel awards and rewards are important to encourage, push and applaud fresh edgy ideas in the field of creativity. However, these days there are too many award shows taking place due to which awards are losing their credibility. Be it local or international, awards are being run as businesses and not for the core purpose for which they were created, i.e., to motivate the industry or nurture/attract young talent. I won't be surprised if some of the award shows' profit margins are higher than that of some of the advertising agencies. Also the greed and demand from big hungry global networks are making the game a bit ugly and filthy. Voices in the judging room are becoming more powerful than the wonderful pieces of work on the table. A few years back, Amir Kassaei, global chief creative officer, DDB Group did make some noise about the same at Cannes when their network witnessed foul play from another network during the judging process. I feel the muddiness is thickening. It's high time all the big daddies came together to solve the problem rather than sulking and shying away from the problem. I think we're mixing two issues - awards and the award shows. The recent conversations have actually been about a certain award show but somehow it has turned into a smear campaign against awards. So if the question is, 'Can award shows be made better?' Of course, they can be. A forum to celebrate creativity and break new grounds in thinking should strive every year to make itself more inclusive. Most shows, by virtue of their entry and delegate fees, are getting far too expensive. As a result, not all agencies are able to represent themselves. But if the question is, 'Are awards important?' I believe they are. Awards move the industry forward and raise the bar for all of us as a whole. Coming from the land of Eklavya, one doesn't need to be told how important it is for the young to look up to the best; no matter where they maybe. Awards make everyone braver. The work inspires agencies to push themselves out of their comfort zones. The success and celebration of such pieces can become examples and reasons for clients to try something different. The funny thing is that every industry has them and none of them are perfect either. Yet, no other industry is polishing the guillotine, the way we seem to be. There are many reports on how the Oscars increase business for films and buys filmmakers more freedom in their future projects. Maybe, we need to learn how to leverage these awards more. Awards are simply the industry's coming together and appreciating good creative work. In a profession as subjective as ours, we need that kind of common yardstick that tells us what's good and what's great. It is motivating for creative folks and helps push the industry forward. The problem arises when Awards become too commercial and the money involved starts taking over everything else. An approximate valuation of all the money that goes into the Cannes Lions reveals that one metal trophy is worth nothing less than Rs. 1 crore. I think all agencies and creative people need to make the most of their victories to be able to realise this value and progress in their careers/businesses. Only then can we justify the investment that we are all putting in. Use it to generate PR, attract good talent, motivate your people and earn better client partners. However, I think it is a temporary phase. Awards in some form or the other have existed since the Roman Empire and they're not going away anytime soon. If we can together, find a way to rein in the exploding commercial side of things, it will benefit everyone in the long term. Bringing the barriers down for more people to participate through cost-efficiency and better access will make the trophy that much more valuable to anyone who wins.